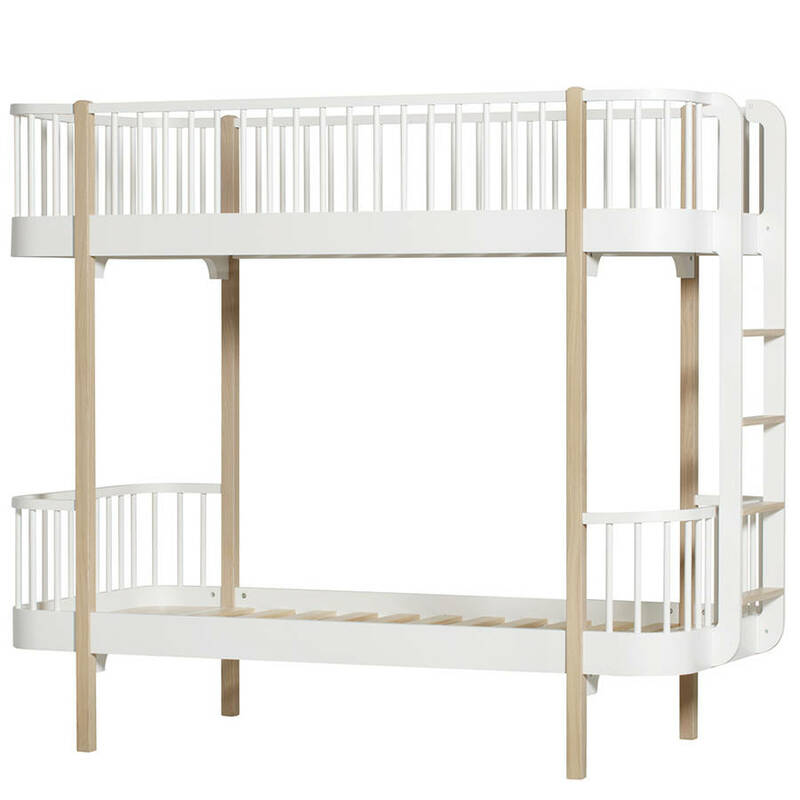 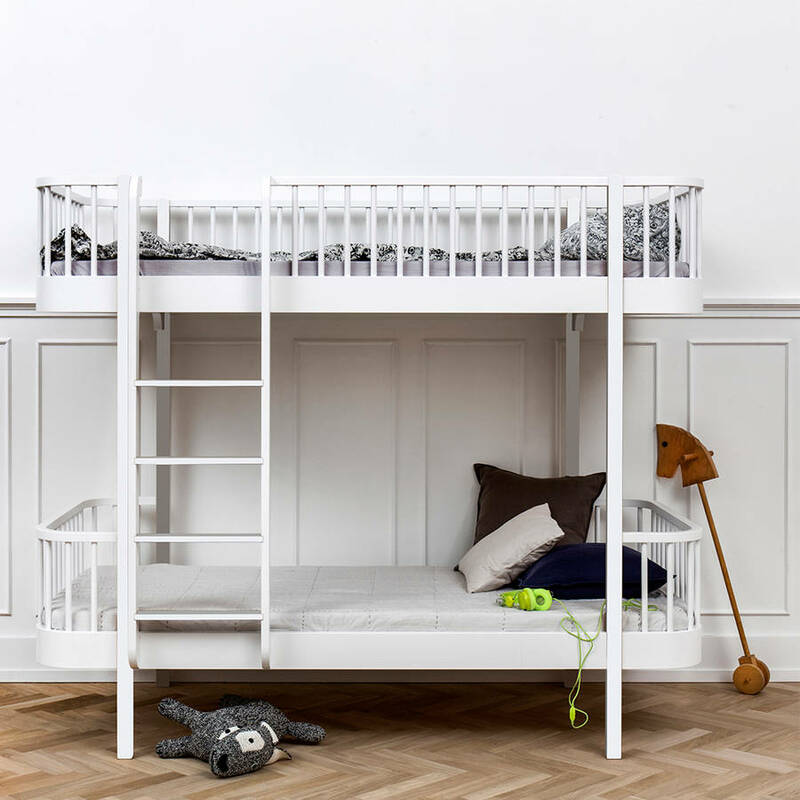 We completely adore this Children's Luxury Bunk Bed in White from Oliver Furniture - it's just glorious! 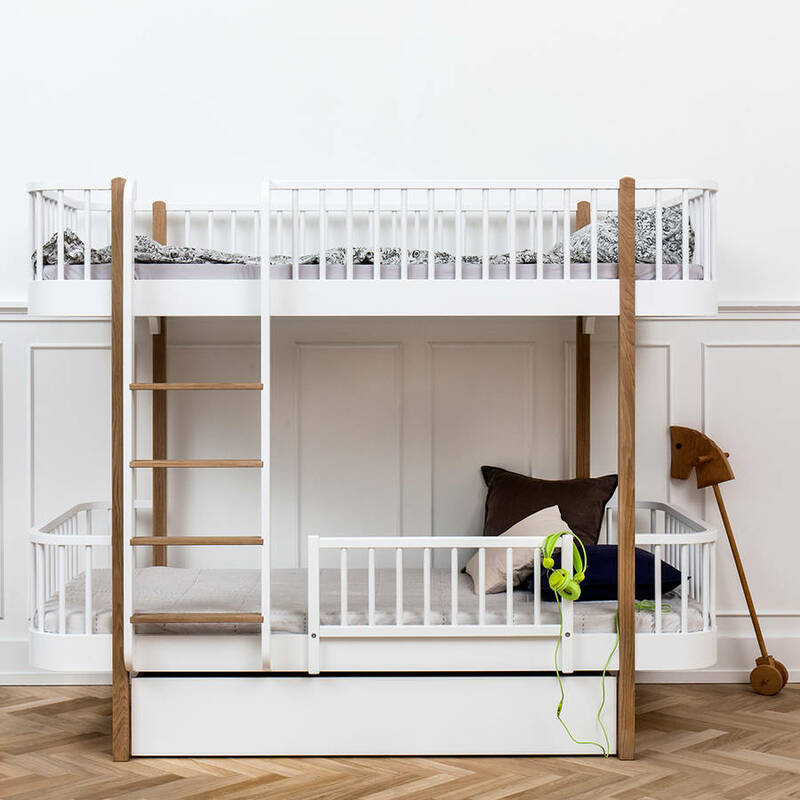 Handy for toy storage, a den, a secret hideaway or even a sleepover; and with 3 alluring fabric designs to choose from including brown with white dots, grey with white dots or nature linen (our picture shows the 'nature' linen fabric option), there is something for every little boy and girl. 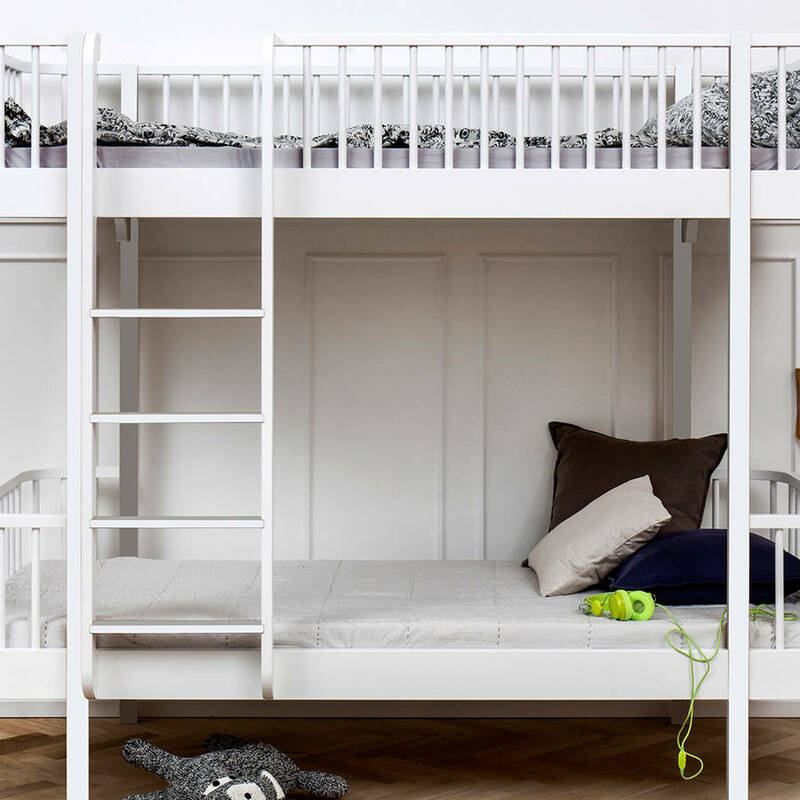 The ladder can be positioned to the left or the right of the bed and there are 2 finishes available, White (as seen) or White with Oak legs.